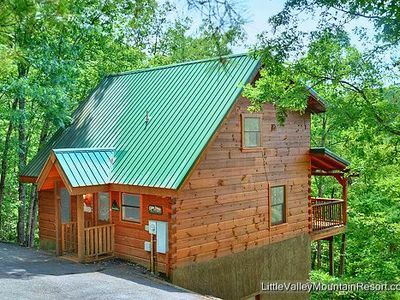 Come enjoy this exquisite Sevierville vacation rental cabin. 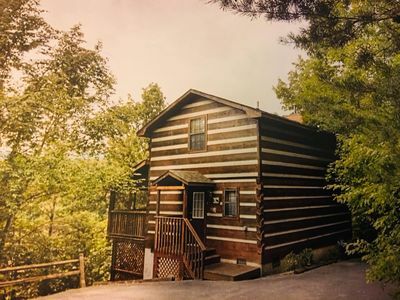 This authentic, 1 bedroom, 2 bathroom log cabin sleeps 4 and is perfect for a couple in search of a romantic retreat or a small family looking to explore the wilds of Tennessee. 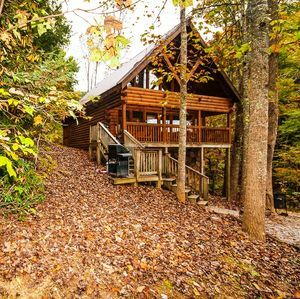 Nestled in the breathtaking Smoky Mountains, this gorgeous haven will serve as the perfect escape from the stresses of everyday life! You'll find the cabin's interior very spacious and private. 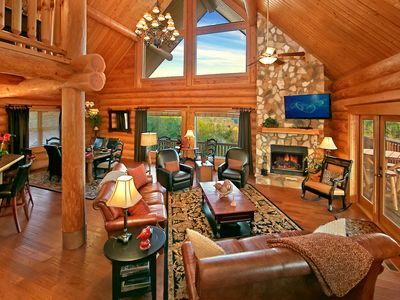 The warm wood throughout and high cathedral ceilings give the property a cozy and welcoming atmosphere. The Native American-inspired decor and comfortable furniture further help to make your stay as relaxing as possible. 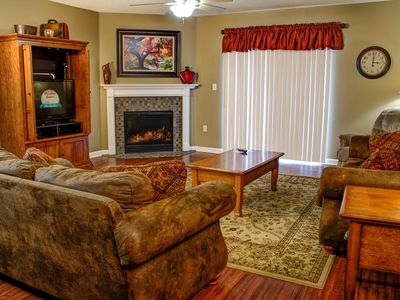 Look forward to gathering with your companions in the charming living room, where you can warm up by the fireplace and watch your favorite show on the TV. 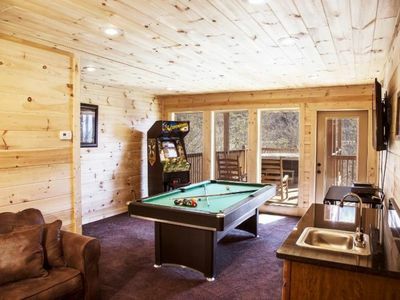 The kids will definitely want to compete in a game of pool! When you've worked up an appetite, head to the fully equipped kitchen, which has everything you need to prepare your favorite foods. Enjoy your meal at the dining table as you gaze out at the natural beauty of the area. 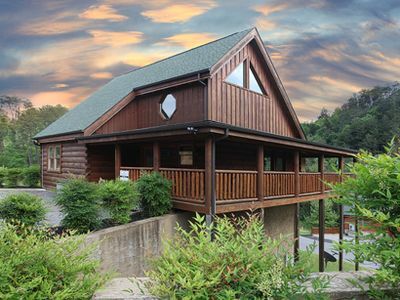 As the day comes to a close, retreat to the master loft bedroom to soak in the romantic Jacuzzi tub or sit out on the private balcony and gaze at the stars over the mountains. When you're ready to call it a night, collapse into the queen-sized memory foam bed and slip off to sleep to rest up for another wonderful day. 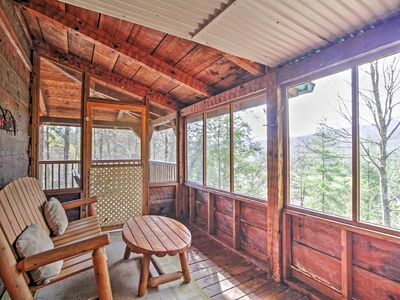 Perhaps one of the most appealing aspects of this cabin is its fantastic location. 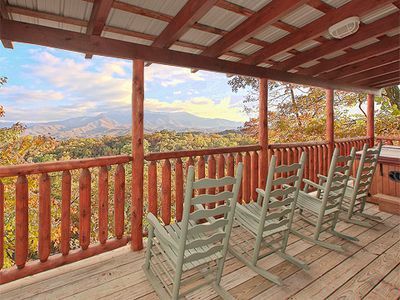 In the mornings, make a fresh cup of coffee and enjoy it on the porch swing or rocking chairs as you watch the majestic sunrise over the mountains. 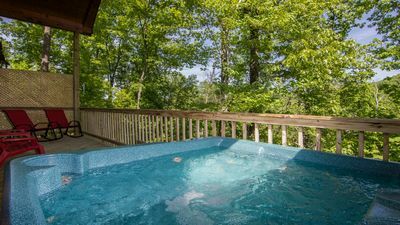 Later, soak your cares away in the private hot tub, which is located on the large, covered, screened porch, making it private and perfect no matter the weather outside. 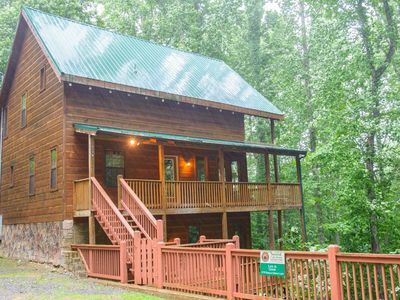 When you're ready to venture out beyond the cabin, take a 7-minute walk to the fishing pond, which is stocked with Bluegill and Catfish. Don't forget to bring your fishing poles so you can take advantage of this unique opportunity! If fishing isn't your style, there's also a paddle boat for your use. If you want to explore beyond the property, take a 40-minute drive to Cades Cove State Park. There you will be able to trek along some of the best hiking trails in the south and take in magnificent mountain views. 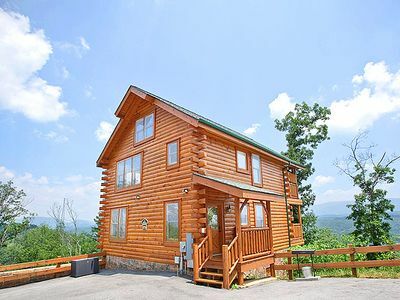 Of course, you won't want to pass up the opportunity to visit Pigeon Forge and Gatlinburg, which is conveniently only minutes away. 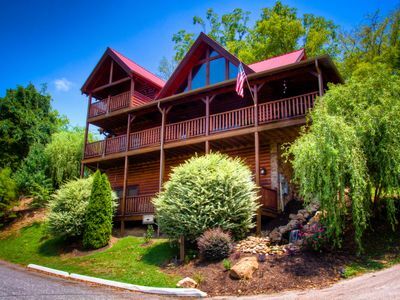 In Pigeon Forge, visit Dollywood for a true taste of life in the South. 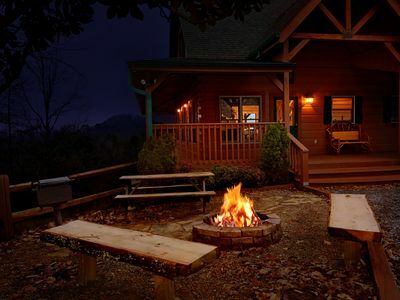 Both Gatlinburg and Pigeon Forge provide endless opportunities for entertainment. Whether you want to visit a museum, see live music, race Go-karts, or go shopping, there's something for everyone. 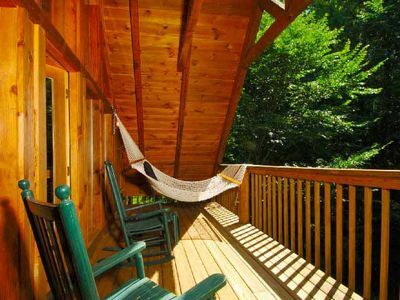 Don't miss your chance to have the ultimate, peaceful, and relaxing vacation in the Smoky Mountains. 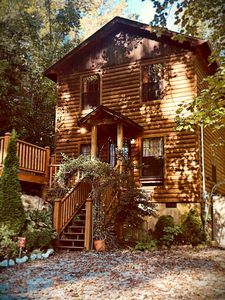 Book Mountain Rose Log Cabin today! 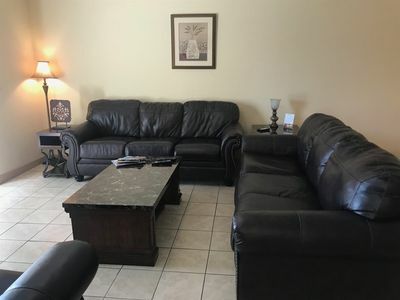 - Amenities include a fully equipped kitchen, flat-screen TV, free WiFi, Stereo System with iPod adapter, linens, towels, magnificent deck with rocking chairs, screened-in porch, a private hot tub, free parking, a stocked fishing pond, and more! 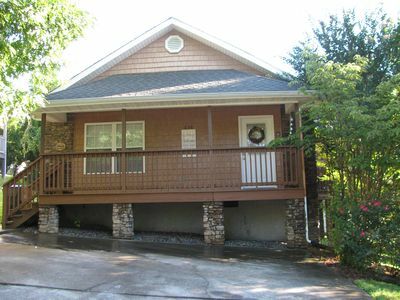 Partial Hardwood, Jacuzzi Tub, Full Kitchen, Dining Area, Fireplace + Clean! Secluded! Private! Come to LAZY BEAR to get away from it all! Large Hot Tub! “Moose-Behaving” is the ideal vacation spot for you and your entire family! 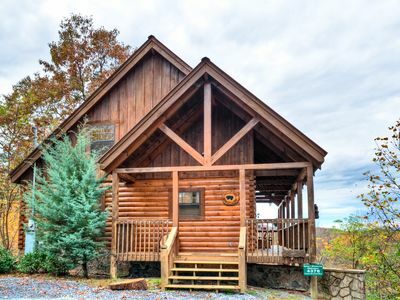 LUXURY 3 KING BEDROOM SUITE---EVERYONE WANTS THIS CABIN--Book Mooseberry TODAY!! 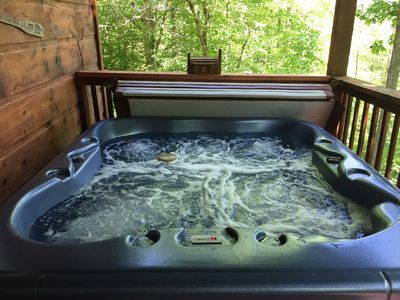 Private, Hot Tub, Pool Table, FREE Amenities, 5 miles from Pigeon Forge Attractions & Restaurants!! 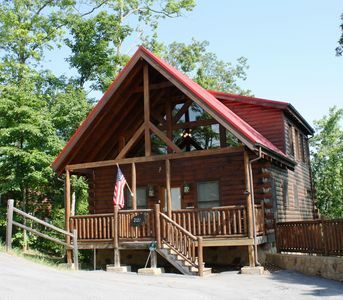 Private Wooded Cabin, 1 BDR/1.5 BATH, Sleeps 4, Hot Tub, DirectTV, Close to All!